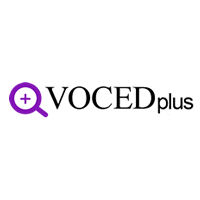 NCVER has just relaunched its refreshed and new-look Pod network through VOCEDPlus. The series of Pods and Podlets cover a range of topics of interest to the VET educators and policy makers alike. The network aims to provide users with “more avenues to access relevant publications, with a focus on addressing new trends in the VET sector.” These include new Pod topics like Industry 4.0 and Student outcomes as well as Podlets on 21st century skills and Qualifications and training products. The old favourites are still there as Pods or Podlets, including Pods covering apprenticeships and traineeships, funding, foundation skills, youth, teaching and learning, pathways, career development and transitions, and providers. The Podlets look at topics like standards, quality, migration and skills, international education, competency-based training, online learning, retention and completion, STEM skills, workplace and work-integrated learning, language, literacy and numeracy and VET for secondary students.